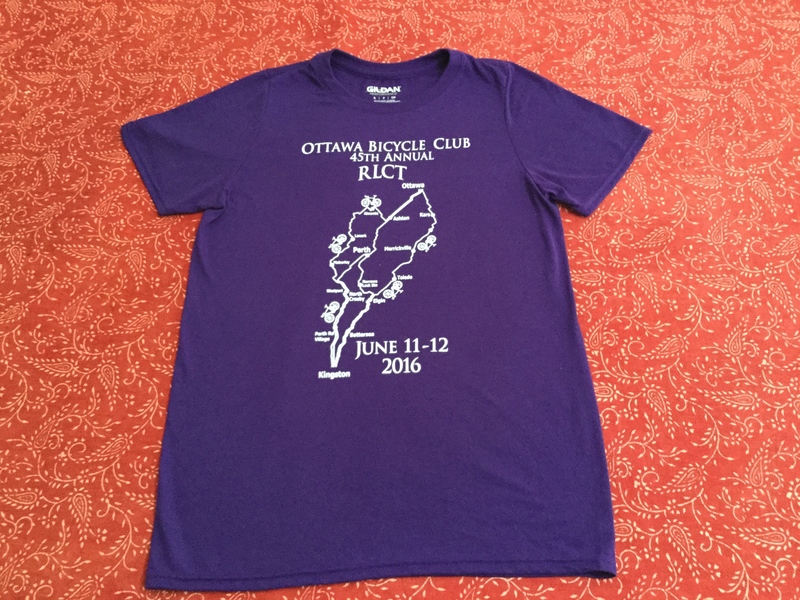 June 11/12 – 2016 RLCT 172/170 Kms; 625/538 Metres; 5 Hrs 58/6 Hrs 25 Thirteen Riders. Now, you know why we train for the RLCT. It is tough; and, it can be really tough – not as in the TDF tough but tough as in old-guy-riding bicycles tough. I should clarify that I speak for myself when I say old guy. No matter how much training we do, we could always do with more. That’s why we rode in the cool, windy weather this May. It was good prep for this past weekend’s tour. We needed every kilometre of that riding. Okay, the rain got us on Saturday and the wind on Sunday. Personally, I think Sunday was tougher. We rode under a gloomy sky, with a constant threat of rain and with increasing lower temperatures with every hour. And, unlike Saturday, there was no sunshine and beer garden buzz to greet us at the end of the ride. It was a relief to turn into Algonquin College on Sunday after those never-ending final kilometres on Woodroffe Ave.
Well done to everyone. Group dynamics were good. Everyone was safe. We stayed together. Let’s do it again. Now, if you’ve given serious thought about hanging up the bike based upon the weekend, think again. There are lots of reasons (thanks to EC) to ride. Any favourites? Which one(s) get you on your bicycle?